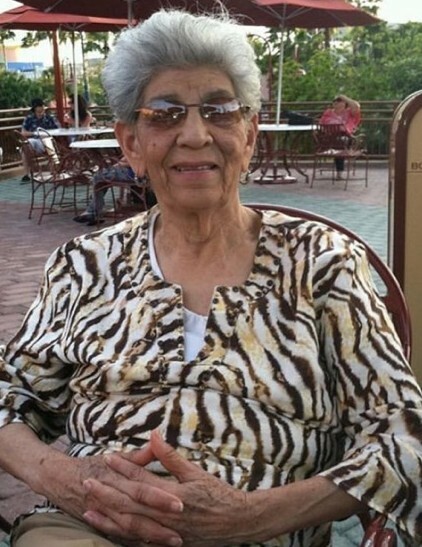 Mrs. Persia Mendez, age 91, of Haverhill, formerly of the Dominican Republic, died on Thursday, January 10, 2019. She was the loving wife of the late Gustavo Mendez. Persia is survived by eight children, Gustavo Mendez of Haverhill, Zoa Mendez of Haverhill, Constancia Mendez, Octavia Mendez, Guillermo Mendez, Violeta Mendez, Enrique Mendez & Janet Mendez; many grandchildren and great grandchildren. She is also survived by many nieces & nephews. Relatives & friends are invited to attend visiting hours at Driscoll Funeral Home, 309 South Main St., Haverhill on Wednesday, January 16, 2019 from 4 - 8 p.m. On Thursday, Mrs. Mendez’s Funeral will begin at Driscoll Funeral Home at 10 a.m. followed by a funeral mass at St. James Church, 185 Winter St., Haverhill at 11 a.m. Interment will follow at St. Joseph Cemetery in Haverhill. Arrangements handled by the Diaz-Healy Funeral Home, 107 South Broadway, Lawrence.